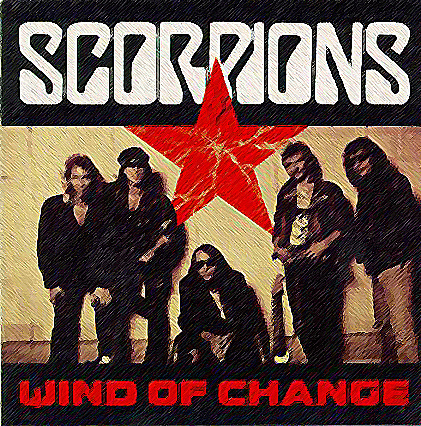 For the record, I always thought it was “WindS of Change”, and was a little disappointed when I found out that it wasn’t. But, I suppose it doesn’t really matter. What does matter is that sometimes things have to change. And, usually in hindsight (my 20/20 foe), that’s a really good thing. Or at the very least, a chaotic neutral thing, which I can totally deal with. I’ve decided to capitalize like an adult. I know this comes as a bit of a shock to all of you (or maybe you never noticed), but last week when the tampon post ended up getting 33,000+/- page views, A LOT of people said really terrible things about my grammar/puncuation/capitalization/general writing ability. And for the most part, I was ok with that. Much like I don’t care for bananas (and haven’t eaten one since the early 80s), not everyone likes everything. It’ doesn’t mean that bananas aren’t full of potassium and fiber. It just means that someone’s dad used to make her eat car-temperature bananas when she was carsick, and now she can’t even hear someone eating one without gagging a little… Wait, where was I? At least the people who thought it was stupid bothered to get through the whole thing. I just don’t like the idea that I’m being dismissed as an idiot or a poor writer by people who won’t even read what I have to say. And maybe that’s exactly the reason why those people should eat a bag of dicks. But, I also don’t want to give the world a reason to write me off. So maybe, (in addition to the haters needing to eat a big bag of dicks) that’s also why it’s also time for me to swim against my biological imperative and learn how to use capital letters. My hope is that having a regular gig at mainetoday will get me back on the writing wagon, which will mean more overall content in both places. More importantly than that, it will mean that I’m writing again at all, which I have sorely neglected over the last year, and sorely missed. Also, since I’m contractually required to write 2-3 posts a week, I’m gonna need some material. What the hell should I write about? As a total grammar nazi, it DID make me wince a little but who cares – you’re hilarious enough that I shared your article around everywhere. You’re awesome. Keep up the awesome. thanks harriet! i appreciate that despite the wincing, you bothered to read what i had to say. and you are exactly the reason that i need to make the change (i can still let myself off in the comments). but thank you. and, you’re awesome too. i look forward to providing you with wince free content in the near future. Write about bags of dicks. And while I do prefer capital letter use, I can’t imagine that someone reading the article wouldn’t realize that you were making the choice not to capitalize, not that you were somehow blissfully unaware that capitalization was a thing. you’d be surprised in this world how many people don’t capitalize out of laziness or general disregard for the language. and more and more people are abbreviating and using text-speak all the time, even when the aren’t texting… i don’t want to be lumped in with that lot, and if i have to upper lower it sometimes, i’m ok with that. although, as i said, they can all choke on a bag of dicks. also, i’m sorry i didn’t make it to the metal feathers show. i got drunk at the blogger meetup and then had to get food and then was emotionally traumatized by an old friend. it was a mess. invite me over soon. xo. i’m sure that there are people who have just as hard a time with no capitalization as i have with capitalization. i started doing it because it made me more comfortable at first, but as i’m starting to pick up more writing gigs, i’m definitely getting used to it. i just don’t want to give people an excuse to hate before they ever learn why they legitimately hate me. but thanks for sticking up for me! Write about our first time getting a drink together (which needs to happen oh so soon). Also, you tricked me into capitalizing. Thanks. A lot. For ruining. My life. how bout both of you jerks come to bayside tonight and have a drink with me and some other bloggers. you can also pretend not to know us if you have social anxiety. how sad is it that i actually went to the meetup, got drunk, and committed myself to a karaoke date before i actually got around to responding to your comment. i need to get on the stick! WE HAVE TO DO THIS. and i’m sorry if i tricked you. i’m still going all lowercase in the comments. i figure by the time people get that far, it’s too late to turn back. I miss the Weekend Pickthrough … and I’m glad to hear more posting is going to be happening. I really enjoy your blog, and I’ve been missing it. Also, “bag of dicks” is a really fantastic phrase. 🙂 well tara, weekend pickthrough is coming right back at you! and yes, telling someone to eat a bag of dicks (or choke on one, depending on the situation) is kinda my favorite thing right now. being famous is definitely NOT on the agenda, i just want to write. although i’m pretty sure using the phrase “eat a bag of dicks” doesn’t make me an artist either. i still like the all lowercase, but it’s not important enough to me to have people not read my writing because of it. if i’m gonna be hated, i want to be hated for my content, not because i don’t care for capitalization. but thank you for being supportive either way! so sorry for the delay! stoughton is still the closest ikea, and if you haven’t heard already, 5.18.13 is the date. tickets will go on sale tomorrow! I actually heard Winds of Change (it does sound like that) while driving past Gorky Park in Moscow on a blind date while kissing a beautiful Russian woman in the time before Lanna (January, 2009). One of my happiest memories, so I love the song. One date, just kisses. Wonderful.